Your NEW beach oasis awaits! Walk or bike 1 mile to the ocean and nightlife of the Beaches Town Center. Built for entertaining with open floor plan, vaulted ceilings, and a large kitchen island and breakfast bar overlooking the spacious living area. Indoor and outdoor living with front porch seating, covered rear patio, fenced backyard, and outdoor shower for after the beach! 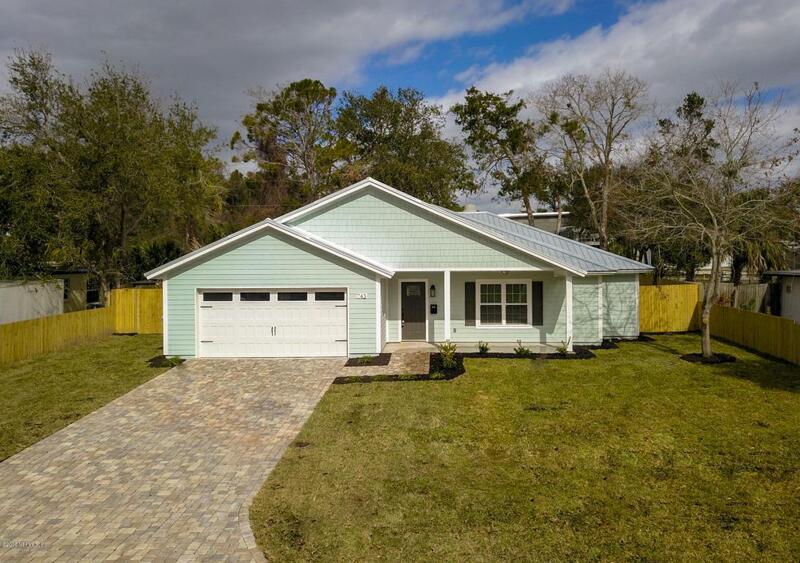 The entire home features low maintenance wood-look tile throughout, and worry free metal roof. Interior features stunning kitchen, private master suite with walk-in closet, dual sink vanity, and walk-in shower. 2-10 home warranty included with purchase. Closing cost incentives may be available with preferred lender.